Washington, D.C.’s E Street Baptist Church, the city’s leading Baptist congregation, is in turmoil. In the face of an impending split, the pastor recently resigned, and mere days earlier a significant numbers of members met to begin the formation of a new congregation (soon to be known as Calvary Baptist Church). The cause of the troubles at the E Street church are now hotly debated by members and other city residents. Some point to differences of opinion among members over the slavery issue and loyalty to the Union, but one letter writer today, in the New York Times, identifies controversy over Sunday School as the issue that led to the pastor’s resignation and the forming of a splinter faction. 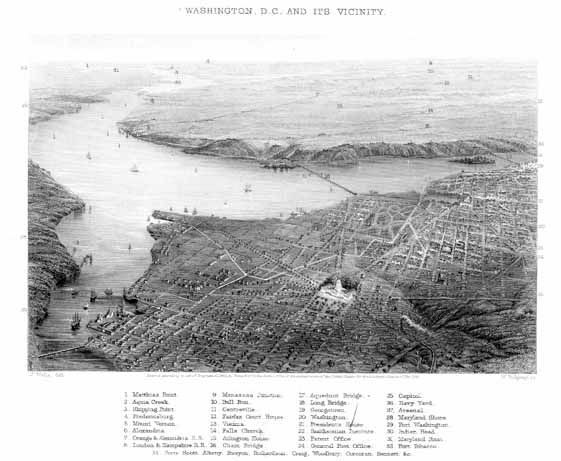 One of your Washington correspondents, in a letter dated May 12, and published Sunday, May 18, has attempted to give a description of the troubles in the E-street Baptist Church of this city. If he makes his statements upon information derived from others, it is enough to say that he either did not understand the information, or else he has been deceived, like many others, by misrepresentations. It is a fact, however, that Rev. Mr. KENNARD did, as stated, resign his pastoral charge; that the only reason he gave was, that he could do nothing more to bring about peace, and therefore concluded his work was at an end in the Church. His resignation was accepted by the Church at a large meeting, only six or eight voting against it. The chief and prominent reason why such efforts, as he did make, failed to bring about peace between the two parties was his active and unmistakable sympathy for one party only, which none can deny. Whereas, it has become a matter of notoriety that the harmony of this Church is disturbed; and whereas, not only in this community, but also in other localities, it has been represented that our difficulties arise out of difference or views of members in reference to secular topics. Resumed, That the subject of Slavery or secession have had nothing whatever to do with the agitation in the Church, that it has arisen out of causes entirely different from these; that the members of the Church, with scarcely an exception are, and have long been well known to be Anti-Slavery in sentiment, and strongly in favor of the maintenance of the Government and the Union. It is proper to say here, that the real cause of all the trouble in the Church is to be found in the fact that when the friends of the Sabbath had adopted an article in a constitution for a Sabbath School Association, which made it necessary for the Superintendent to be a member of the Church, a certain party, with which Mr. KENNARD acted and sympathized, opposed the principle, and denied that the Church had any right to exercise any direction or control over its Sunday School. The above preamble and resolution were warmly opposed by the party which acted with Mr. K., and one of the chief advocates of opposition to the resolution openly avowed his sympathy for Slavery before the whole Church, and opposed the resolution on that ground, and his friends, acting with Mr. K., rallied in sufficient numbers to prevent its adoption. Now, in the face of all these facts, your correspondent calls those Secessionists who were the friends of the resolution, and those the friends of freedom who opposed and voted against it. Comment is unnecessary. Your correspondent says also that “this church, like others of the city, lost much of its moneyed support by the stampeding of persons into Secessia;” but the facts are, that only three or four persons, who did anything to support the church, have left the church or congregation and gone into Secessia; and they were office-holders, having no real property in the city. If the support of the church was diminished at the breaking out of the rebellion, it was not by the withdrawal of persons who went South so much as of those who went North, and not because of secession sympathy either. Resolved. That we hold in full fellowship Baptist churches of like faith and order, of all lands, and gladly we come, with sincerest sympathy, confidence and affection, such of their members as may bring to us letters of good standing in their respective churches, and who seek to be united in fellowship with us.